South Korea will produce 6.2 million units of hydrogen-powered vehicles and build 1,200 charging stations across the country by 2040. As a result, the government expects to generate 43 trillion won worth of added value a year and create 420,000 new jobs in the market by 2040. 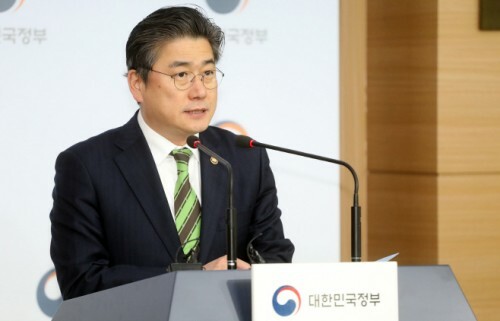 The government announced its roadmap for fostering a hydrogen economy in a meeting attended by President Moon Jae-in and Trade, Industry and Energy Minister Sung Yun-mo in Ulsan on Thursday. The roadmap was developed through consultation and analysis of about 100 related ministries and private experts after the government designated hydrogen economy as one of the country’s three key new growth engines for the economy along with artificial intelligence (AI) and big data in August 2018. Under the roadmap, the government plans to supply more than 4,000 hydrogen cars to the domestic market this year, and increase production capacity to 35,000 units a year by 2022. This will reduce hydrogen car’s price to around 50 million won. The final goal is to increase the country’s annual production of hydrogen cars to 100,000 units by 2025 to lower the price to the level of diesel locomotives. At the same time, it plans to localize all the key components, such as membrane electrode assembly (MEA) and gas diffusion layer, by 2022. In addition, the government plans to supply 35 hydrogen buses in the country’s seven major cities this year and convert police buses with hydrogen buses with an aim to increase the number of hydrogen buses to 2,000 by 2022 and 40,000 by 2040. It will launch a pilot project for hydrogen taxi this year, starting with 10 units in Seoul, and expand out to other major cities from next year. The government plans to increase the number of hydrogen-powered taxis to 80,000 units in 2040. Hydrogen trucks will go through development and verification process in 2020. They will be applied to the public sectors, such as garbage trucks, clean trucks, and sprinkler trucks in 2021 and will be expanded to the private sectors gradually. In line with the supply of hydrogen vehicles, the government will increase the number of charging stations. In order to increase the number of charging stations for hydrogen cars to 310 by 2022, it is considering offering subsidies for building charging stations in the initial stage.